The black eyed pea recipe is something I didn’t know anything about until I moved to Florida. 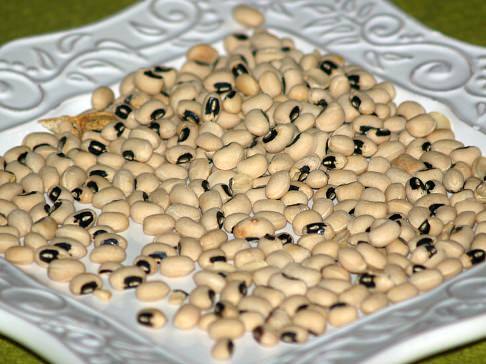 Although black eye peas have been grown in many parts of the world for centuries, they were not introduced to American until the seventeenth century. Once introduced in Virginia, this food quickly took grips over the entire Southeastern United States and Texas. I vividly remember my first year after moving to Florida. Probably one of the most often questions I was asked toward the end of the year was, “What black eyed pea recipe will you be cooking for New Years?” To be honest I didn’t even know what black eyed peas were; even more so I had no idea what they had to do with New Years. Well, I found very quickly that you are not a Floridian unless you have black eyed peas; it is even un-American. Top this with have very bad luck throughout the entire new year if you do not eat some kind of a black eyed pea recipe. Black eyes peas are much like dried beans and other lentils so it was easy for me to learn to cook them. Like dried beans, I soak them for several hours or overnight before simmering them slowly over the heat. I always season them with some type of pork; bacon, ham pieces or ham hocks give the peas a lot of flavor. I always add some chopped onion, salt and pepper as my basic seasonings. There are many black eyed pea recipes with other ingredients added; also many recipes to make once they are cooked. Sauté onion and pepper in oil. Add tomatoes and rice. Cover and simmer for 30 minutes. Add tomatoes, cooked rice, salt and pepper. Cook and stir until blended. Serve immediately. Fried rice is a flavorful dish of many. 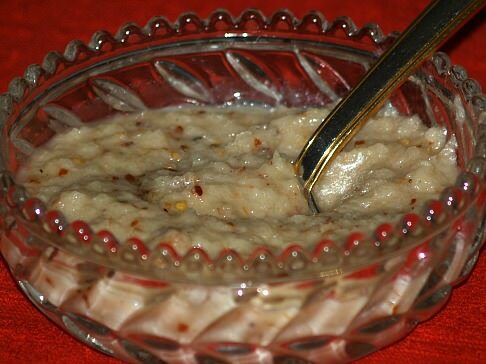 Like other dishes it can be prepared in a variety of ways with a variety of different ingredients. 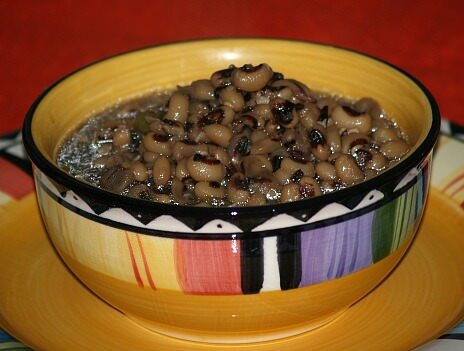 This is a typical southern black eyed pea recipe from the South for New Year’s Day. Place black eyed peas, onion, ham hocks and red pepper flakes in bean pot; cover with fresh water. Bring mixture to a boil, cover and simmer for 30 minutes; skim the top. Add more water if needed to cover ingredients; bring to boil again and cook 45 minutes or until tender. Add rice, salt and pepper; cover and simmer about 20 minutes or until rice is tender. Combine all ingredients and blend well; chill for 2 hours to overnight to blend the flavors. Serve with corn chips or tortillas. Combine all ingredients except oil in food processor; process to a paste about 40 seconds. Drop 1/2 cup fulls of mixture into corn flour; shape into patties patting outside with the corn flour. Heat griddle with a little oil and place patties on hot griddle. 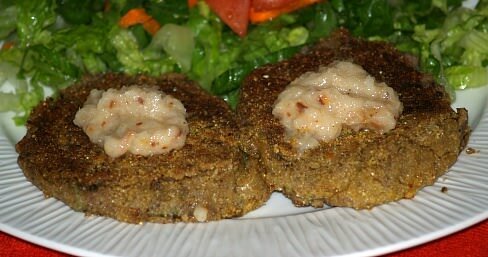 Brown patties on one side; turn over and brown other side. 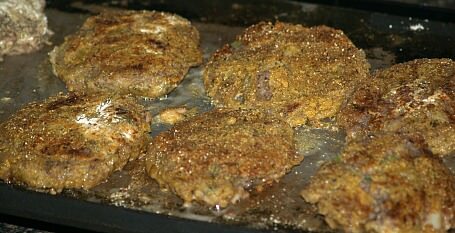 Serve with spicy sauce; makes about 9 patties. Combine all ingredients in food processor; process until well blended.